Low light is one of my favorite type of light to photograph. I recently decided that low light might be my favorite type of light to work with for a few reasons: it can be challenging, get your creative juices flowing, and push you to think about how to incorporate it in your art. I also just really love how it looks in images. When looking through images, the low light ones always spark an interest and put a smile on my face. They also make me stop and say ‘wow, what gorgeous light!’. You might be wondering how to go about dipping your toes in low light…well, I’m here to help. 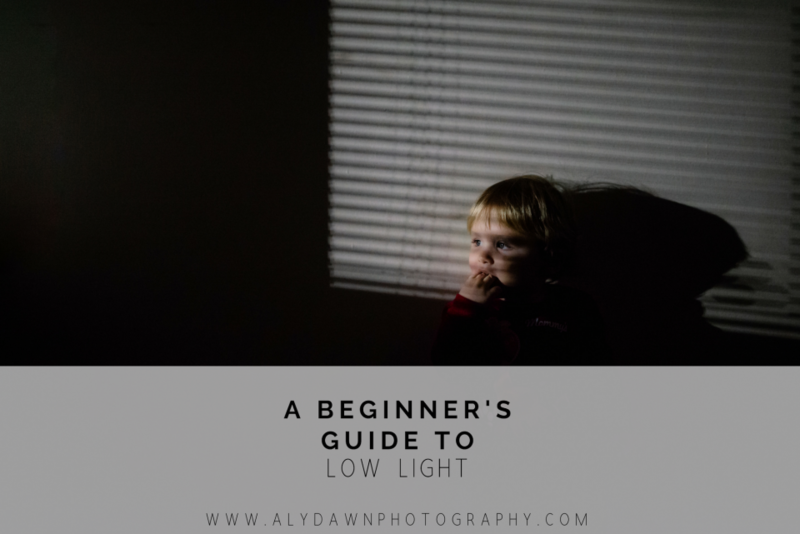 This guide will help you get started in your low light journey and also help you understand what type of settings and equipment you need. If that sounds like something you’re interested in, read on! In this article I will give you tips on how to get images in low light. But before we get into that, I want to say that in low light images, grain is inevitable. Lightroom can help reduce the grain, but you need to be careful about how much grain you reduce. If you reduce too much grain, your image can come away looking fuzzy and too smooth. It will look totally noticeable that you reduced grain. Be weary of that. Let’s dive right on in to how to shoot in low light! I hope you come away excited to try it out and loving the images you produce. As with anything in photography, practice will only make this better. You shouldn’t get discouraged if the first couple (hundred) images don’t come out the way you had hoped. Keep practicing, it will click for you eventually. First things first, we’re getting into the technical of shooting in low light. A lot of the time, photographers fear the high ISOs. Well…I’m here to tell you…don’t. You will not get the images you want if you are trying to shoot low light images in an ISO of 100…why? Because, your image will not be exposed properly with an ISO of that and will actually result in even more grain. That’s the reason why people fear high ISOs. Grain. It might not make any sense to you right now, but trust me when I say if you have a high ISO but your image is properly exposed, you will have less grain than if you had a low ISO with an under exposed image. Push your ISO. Even if your camera doesn’t handle low light well, you will still want to push the ISO. Using artificial light to achieve low light images is really fun and can help you be more creative. 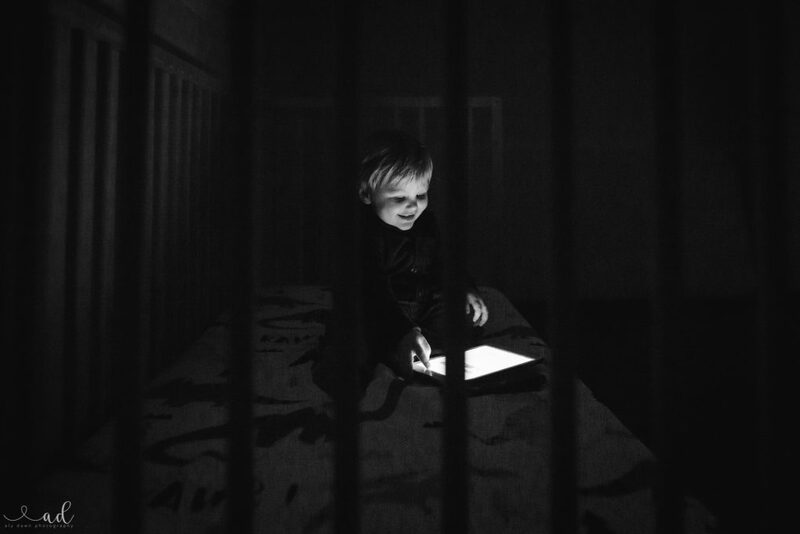 I recently started using my iPad’s light. 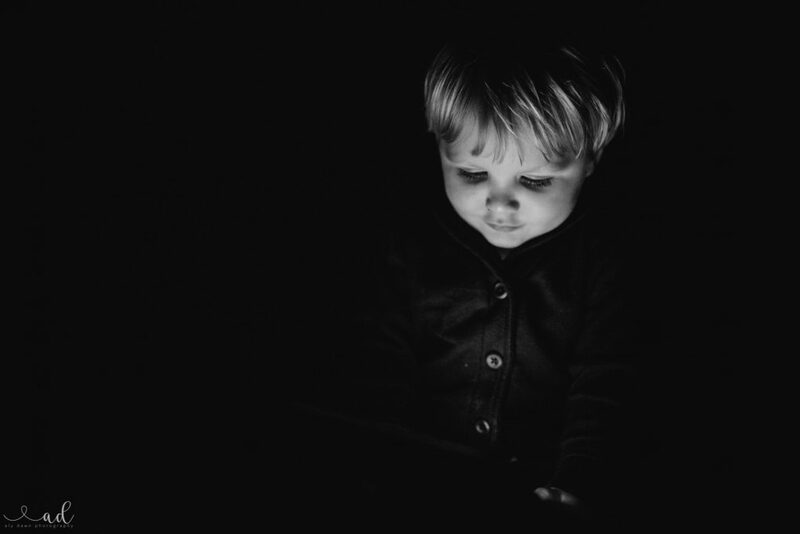 You can also use a flashlight, cell phone, computer screen, refrigerator light, oven light, bathroom light, etc. 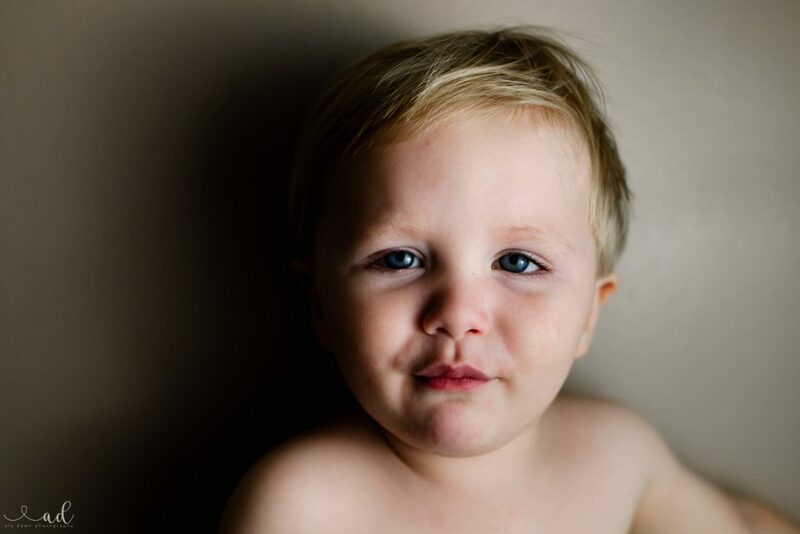 There is an awesome app on the iPad called Soft Box Color that can help if you need some additional light! Using a light source other than the sun can bring a whole new outcome to your images. I actually like them better, to be honest, than sunny outdoor images. 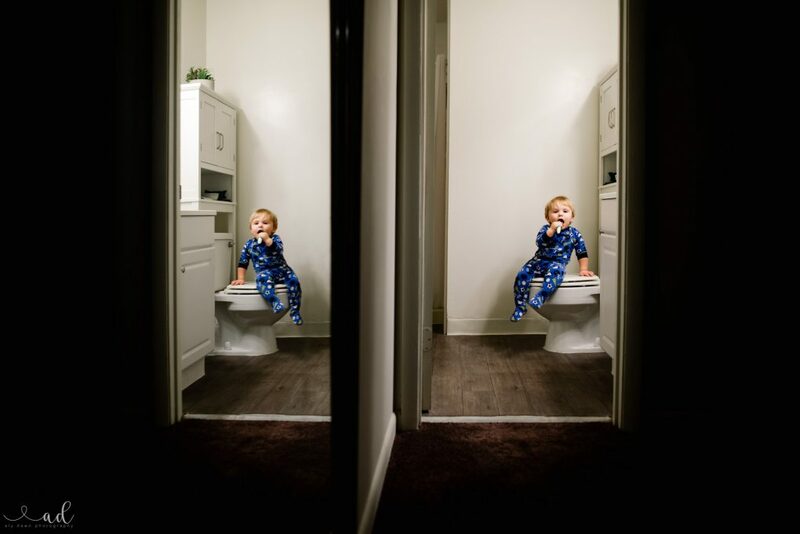 One way I like to use artificial lighting is using my bathroom light – nothing special about it normally, until I turn off all other lights to create shadows outside the bathroom! Using artificial light is also a great way to get through the winter months. You don’t have to worry about going out when it’s nice and sunny out to get AMAZING images. You can even take images at night (to add to the awesome low light). 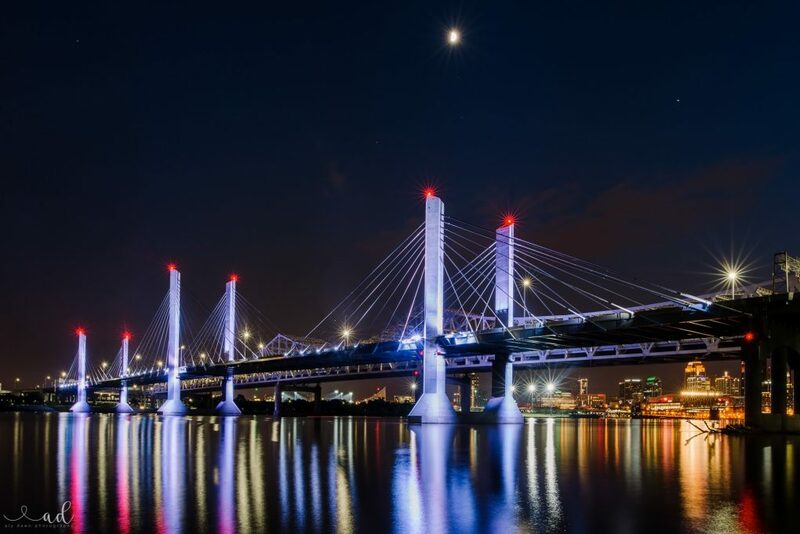 Artificial light sources can provide more leeway! Your camera might have a hard time focusing when there’s not a lot of light or contrast. To combat this, I recommend manual focusing. It can also give you a creative outlet. That being said, if you really can’t seem to grasp the manual focus tip, here’s an even better tip. 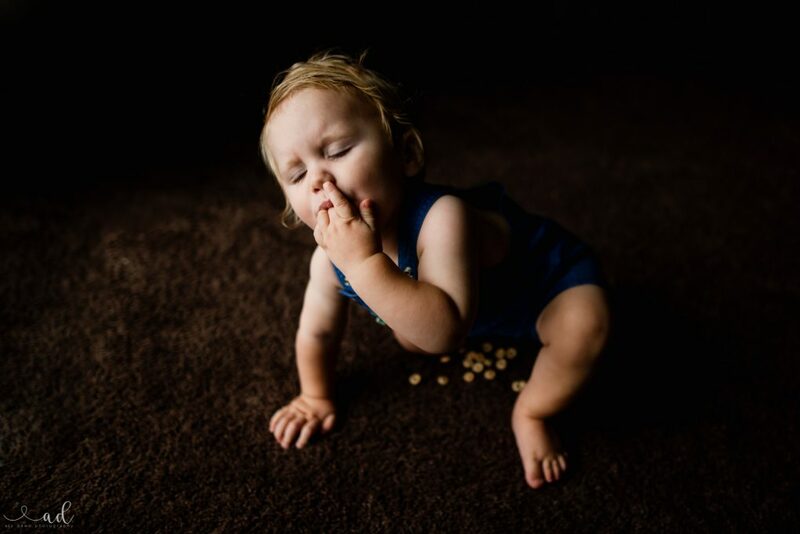 Use a flashlight to light your subject and grab focus. Then turn the flashlight off to take your image. Low light doesn’t have to mean ‘hard to take a picture’ light! Choose a wide open aperture to help more light come into your camera’s sensor. Of course, choosing a wide open aperture will mean that it will be a little harder to grab focus. If you feel like it is absolutely necessary to have the image crisp, then by all means, shoot at a wider aperture and make sure your ISO is up high as well as your shutter speed is nice and slow (it might be handy to have a tripod – I just got this one and it is awesome!). 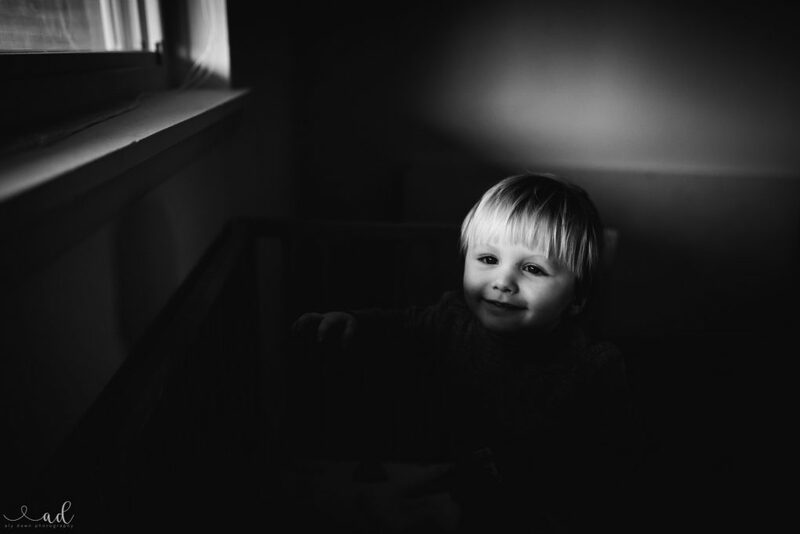 But if you’re totally ok with out of focus/soft focus images…then definitely choose a wide open aperture. Shadows aren’t bad. They’re not! Shadows can definitely enhance and add to an image. Don’t be afraid of the shadows in your images. Silhouettes and subjects surrounded by shadows can definitely add to your photo and give the image a feeling of mysterious. I also will dare say it: clip those shadows! If the shadows that you clip aren’t on skin (unless you’re doing a silhouette) then clip them. If they aren’t on anything important, it’s ok to clip them. I have come to love and appreciate the shadows in my work. They make my heart happy. Whenever the shadows are present in an image, I look at it and say, ‘Yes! This speaks to me’. So embrace those shadows! Don’t be afraid to include them in your art. Nailing white balance in camera is always important, but even more so when it’s a low light image. 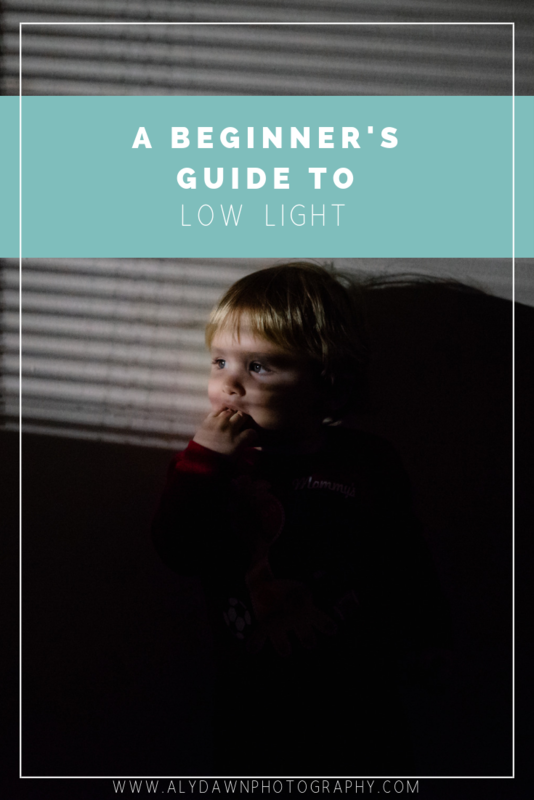 This is because most low light images take place after the sun goes down (not always the case, but can be) and therefore you’re probably using an artificial light source (see tip #2!) and odds are your color temperature is around 3000k. Set your white balance accordingly before you take an image. Pro Tip: When setting white balance, switch to live view to change it. You will be able to see what it looks like as you change the kelvin and won’t have to take a test shot. I love using this little tip all the time in my normal, day time shooting as well. When noise reduction is skillfully done, it can add a lot to the image. But over-doing noise reduction can result in an image that looks…fake. For lack of better vocabulary! I really don’t like my images looking fake…so I tend to be a little laid back when it comes to noise reduction, especially in my low light images. In Lightroom, I like to go to the detail panel and have my sharpening at 40, then I like to use my ALT key (on PC) and move the masking slider to the right until the most important details are shown. 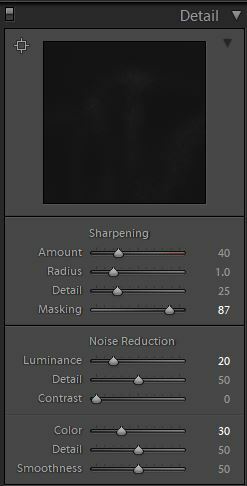 Then for noise reduction, I like to slide luminance to no more than 20 (depending on the image it might be a little less than 20) and then color to 30 (again, depending on the image it might be a little less than 30). See screenshot below. I literally do this to every image because I feel it gives my images a nice finishing touch. I recommend playing around with the detail panel and see what it does to your images. But remember, don’t over-do noise reduction or your images will look fake. And we don’t like fake images haha! I definitely recommend getting your images exposed correctly, or even exposed to the right (without blowing any highlights) in camera for everyday shooting. Then you can deepen your exposure in post processing to get the moody image your after. By doing this, it will actually help lessen your overall noise. If you’re not familiar with ETTR, then I recommend starting with this tutorial – it does a good job explaining and also has some awesome examples on how it affects the noise in images. Converting your images to black and white can help add to the moody edit you’re probably looking for. I love black and white and I often convert my images to black and white. I think it gives an added level of creativity and also mysteriousness. I love black and white photography! I think it can enhance the shadows and even the light in your images. Play around with the blacks and the shadows in your edits. 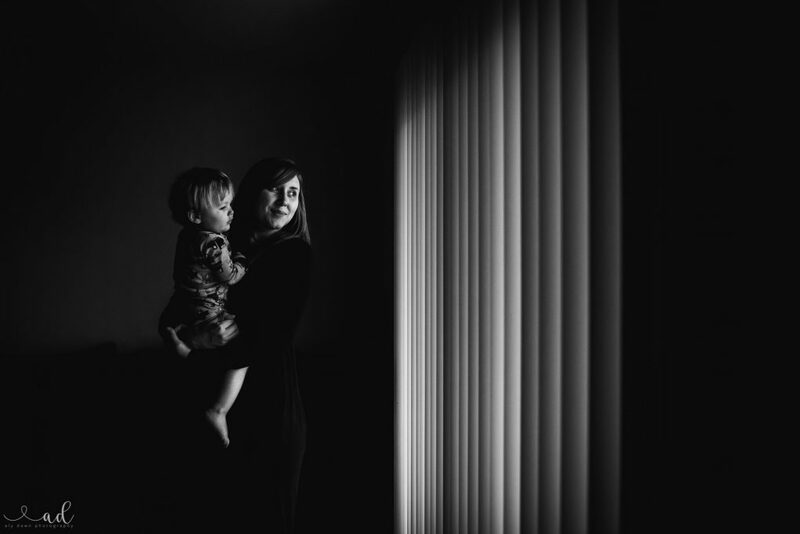 Look at adding some contrast and clarity to your black and white. I think having a nice crisp black and white can give your image a nice enhancement it might otherwise miss out on if you kept it in color! First, I LOVE every image included in this post. Second, these are some great tips and I can’t wait to implement them! !